Two bills in the Ohio General Assembly seek to make sales of coins and bullion tax exempt in the state. 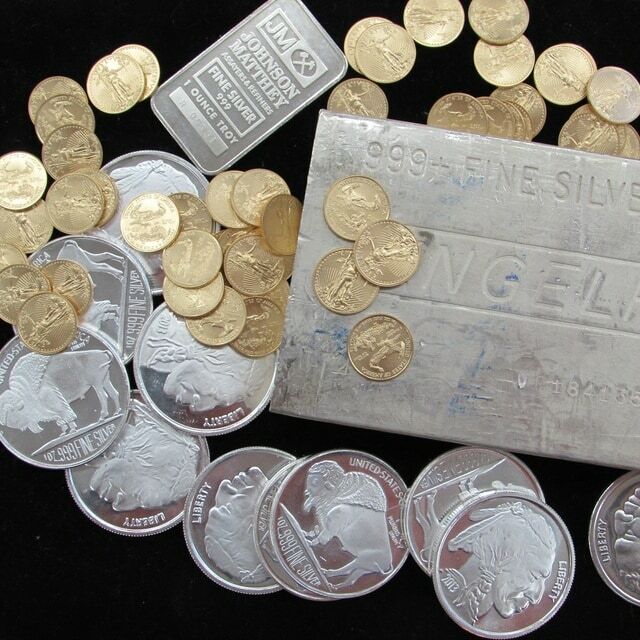 DARKE COUNTY – Two bills in the Ohio General Assembly would once again make the sale of investment metal bullion and coins tax exempt in the Buckeye State. Senate Bill 172, introduced by Kris Jordan, and cosponsored by Senators Bill Seitz, Shannon Jones and Bill Beagle, would apply to a number of different types of metals sold for investment purposes. The companion bill, Ohio House Bill 26, introduced by Representatives Ron Maag and Christina Hagan, is cosponsored by 15 other representatives. Nor would the exemption apply to paper money, another numismatic collectible and investment. Ohio’s sales tax has been collected on bullion and coins for a decade. The items were previously tax exempt in Ohio from 1989 to 2005. The resumption of the tax in 2005 can be traced to fallout from the “Coingate” scandal, in which Toledo coin dealer Tom Noe was convicted of theft and money laundering, among other charges. Noe had been contracted by the state’s Bureau of Worker’s Compensation to invest $50 million in rare coins. Then and now, Ohio coin and bullion sellers have expressed unhappiness with the provision, claiming that the state has “targeted” them due to the corruption of one individual. They also claim it deprives them of business by driving buyers to make online or out-of-state purchases to avoid the tax. “Over the past five years, I’d say our business has been down 50 to 60 percent,” he said, citing the tax as the primary culprit. Those purchasing coins at Crossroads Coins must pay a 7.25 percent sales tax. Of this, 5.75 percent goes to the state. Percentages may differ in other localities. The Industry Council for Tangible Assets (ICTA), a national advocacy group for sellers of rare coins, paper money and precious metals has been an active participant in trying to repeal the tax in Ohio and elsewhere. ICTA Executive Director Kathy McFadden says that coin and bullion sales in 32 states are tax exempt, and that states like Ohio stand to lose millions of dollars, specifically revenue from income taxes. “Nobody is buying in the state because consumers are buying where there is no sales tax,” she said. Pointing to neighboring Indiana, where the legislature has recently moved to pass a tax exemption for investment coins and bullion, McFadden contends that not following suite will adversely affect Ohio. “A sales tax puts local businesses at a disadvantage, and [Indiana’s tax exemption] will hurt Ohio even more,” said McFadden. Another advocate of tax repeal is David Miholer, President of the Ohio Precious Metals Association (OPMA). He is also president of his own coin business, Executive Coin Company of Stow, Ohio. Miholer was one of many who testified before the Ohio House Ways and Means Committee earlier this spring. Speaking on behalf of his own company, Miholer argues that the tax has harmed his business. Jeff Starck, senior editor of Coin World magazine in Sidney, Ohio, agrees that the state tax has far-reaching effects on commerce. House Bill 26 advanced through the House Ways and Means Committee in mid-May after unanimous approval. The Senate version, 172, currently sits in that chamber’s Ways and Means Committee. The status of each bill can be followed by using the legislative search function at https://www.legislature.ohio.gov.